Boy, this has been a tough year for baby boomers. Lots of rock stars, radio giants, and celebrities from our youth have left us. I still haven’t recovered from Garry Shandling. And now comes word that Patty Duke died early this morning. She was only 69. Not only were these icons cherished by baby boomers, they WERE baby boomers. Patty Duke won an Oscar when she was 16 (for THE MIRACLE WORKER). She then went on to star in a popular sitcom, THE PATTY DUKE SHOW in the mid ‘60s. In that show she played two identical cousins – Patty (who was a kooky US teenager) and Cathy (who was a proper British girl). I used to watch it all the time. Looking back, it was not very funny. But then, how brilliant was the writing on SAVED BY THE BELL? Still, THE PATTY DUKE SHOW ran over 100 episodes. I watched primarily because I had a big crush on Patty Duke. I remember an issue of TV GUIDE from that era that did a story on her and featured a smiling photo of her in a red dress that absolutely melted my teenage hormone-challenged heart. 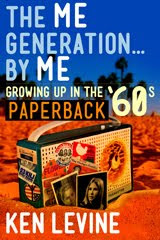 Anyone from my generation can pretty much sing THE PATTY DUKE theme song by heart. That said, a couple of years ago my writing partner David Isaacs and I wrote a pilot for USA about two sisters. We named them Patty and Cathy and no one at the studio or network picked up on the reference. 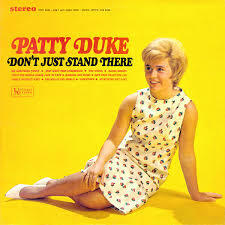 Patty Duke also had a brief singing career. “Don’t Just Stand There” was a big hit and had she pursued it she could have been another Lesley Gore (as if she had the time). I never met her. I did work with her ex-husband, John Astin, who was a sweetheart. I always admired her acting and her courage. She did not have an easy life. A sad childhood, forced into adulthood way too early (as are all childhood stars), and then bi-polar. She went public with her mental issues, which was very brave at the time. Helping others by example was more important than “managing her image.” She was also the president of the Screen Actors Guild from 1985-1988, again dedicating her time and efforts to elevating others. From what I understand she was a lovely person. One story sticks in my mind. 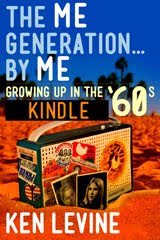 Back in the early ‘70s when I and a number of college buddies were trying to break into radio, one of them got a job doing weekends at the Top 40 station in Palm Springs. He was on the air one Sunday afternoon and got a call from Patty Duke. She was in town, listening, and bored. He invited her down to the station. (She must’ve been really bored). But she came down, (she was eight months pregnant so it’s not what you were thinking), and just hung out talking with him for a few hours. How cool is that? I wish she had a happier life. I wish she won her Oscar in 2030. RIP Patty. And Cathy. Sad indeed, I remember Gidget with Sally Fields and The Patty Duke show with Patty of course. I was a grade schooler when I watched, but those two TV shows made being a teenager look fun. Aw, I'm sad to hear about Patty Duke. She was pretty cool. 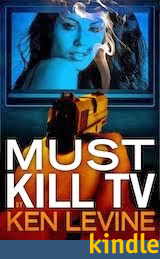 Does anyone else remember a very short lived return to series tv? She played a single mom recovering alcoholic who became a minister. Okay, it was actually better than that sounds. But I don't think very many episodes aired before it was yanked, and I can't even remember the title now. Early-mid 80s? And yes, I remember the theme song by heart. If all the icons of my childhood are gone, does that mean, like Marty McFly's family photo, that my childhood never happened? Per the wikipedia page for the show, THE PATTY DUKE SHOW was filmed in New York rather than California for most of it's run because the child labor laws in New York allowed her to work longer hours - which were needed because of her dual role. Only after she turned 18 in the last season was production shifted to California for the last few episodes. Just more evidence of how she was robbed of normal childhood. I read her book and was horrified by how she was ripped from her family and basically enslaved by her manager. Its amazing she was able to function as well as she did for the rest of her life. A lovely lady and one hell of an actress. McAlvie: I had to look it up, but the series where Patty Duke played a minister was called AMAZING GRACE. Her character was named Hannah; I don't know why they didn't make it Grace! She was about the same age as my older sister and I thought there was a bit of a resemblance, so hearing she's passed away feels weird to me. I remember all that you listed Ken, but also being in the movie---"Valley of the Dolls"
She was great as the "heavy, nasty b i t c h" maybe it was because it was the 1st "Adult" movie I ever saw. Then last of all she pitched Social Security sign up by the website, SS. Com. Oh, and yes I am 66 (no I haven't signed up yet) and had the same crush on her, as well as Haley Mills too. I liked Patty Duke and I am sad to hear of her death, but although I am a baby boomer, I never cared for The Patty Duke Show or many of the other sitcoms from the 1960s. It seems strange considering how much I have enjoyed good (in the case of Cheers, great) sitcoms from the 1980's on. The shows in the 1960s just seemed silly to me even as a teenager. I was out of the country for much of the 1970s so I only got to know a couple of those shows as re-runs when I came back. The shows of the 1980s are so superior that it seems as if far more than a decade of technology and sophistication would have passed between those eras. According to the IMDb, The Patty Duke Show produced 104 episodes, not over 200 (you don’t have to publish this). Oh man, I think this is going to be a loooong sad year! I too watched the Patty Duke Show for all the reasons a pimply teenage boy did, sigh. Patty, not a hot dog made me lose control... RIP Patty. Just a minor correction. After 3 seasons on ABC, THE PATTY DUKE SHOW only filmed 104 episodes.All are available on DVD. By the way, William Schallert (who played her dad) is still alive at 94 years old. Don't forget when she was a teenager they gave her the answers on the $64,000 Question. And she felt pressured to lie about it in front of Congressional investigators before she recanted. That must have been terrible for her. What a resilient person, and a one in a million talent. Think about it - how many actors today are good enough to win an Academy Award and star in an extremely difficult role in a major prime-time series before they are 20? Not many, if any. Very nice remembrance. Having two older sisters, I could relate to Patty's brother, Ross. He had some of the funniest lines as did her boyfriend on the show. When they were dating, I remember Lucille Ball making sure Patty's romance with Desi Jr. was short-lived. She just didn't like her and thought she'd be a bad influence on him. Too bad, for Patty. "I've survived. 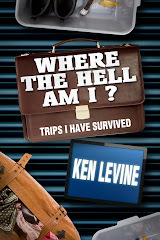 I've beaten [a] bad system and on some days - on most days - that feels like a miracle." Yes, William Schallert (Patty Duke's TV dad) is still alive and well at 94 - he filmed a ME-TV promo with Duke just a few months ago. 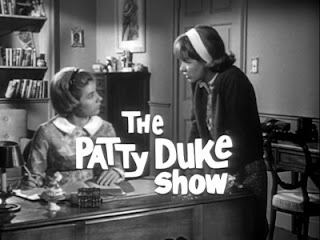 The Patty Duke Show would have run longer, but ABC and producer United Artists had a dispute over who would bear the costs for the show's conversion to color in the fall of 1966, so ABC cancelled it. I believe that Ms. Duke did have a happy life once her bipolar was diagnosed and treated. She reconciled with her children and was married to her fourth husband for over 30 years. She was before my time, obviously, so I haven't seen a whole lot of her work outside of THE MIRACLE WORKER, mainly because they showed us that movie in my Grade 6 Reading class (or maybe it was Language Arts, I don't remember). Still sad to hear of another loss either way. Two SAG presidents gone in less than two weeks, Patty Duke and Ken Howard. Ken, I believe your closing thought, "I wish she won her Oscar in 2030," is among the most moving comments you've ever made on your blog. Well and truly said. I remember watching the latter part of the original run of her show, but I also remember a cute little movie with her, Jim Backus and Milton Berle's nephew. "Billie", about a tomboy H.S athlete. I can just imagine how awful that would be if made with current (un)sensibilities. And may I add, hers were some of the better celebrity albums. In reference to William Schallert still being alive, you could have a running blog on public figures that the general public didn't know were still living. I loved Ms. Duke as well. Cannot believe it! -- She was the voice of Thumbelina in the obscure, intriguing Rankin/Bass theatrical feature, THE DAYDREAMER, with Paul O'Keefe as Chris Andersen (he played her TV brother). She also won three Emmys--including one for playing Annie Sullivan in "The Miracle Worker." With all those awards, I guess we can't say she was underrated as an actress, but I think she was even better than her trophy shelf reflected. I remember "What's, What's What's, What's on your mind?" on portable radios and in the car throughout one summer. Heck, I remember thinking "Let's Get Together" was rock'n'roll.